You have invited your friends to your house to throw a party but it's lame? With Lightsync this will never happen again. Just play your favorite song, open Lightsync and all your Philips Hue lights will change color and brightness to the beat blazingly fast. Or you just want to relax. 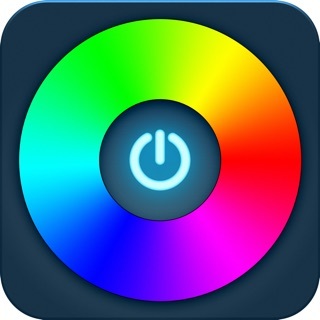 Open Lightsync, turn down the intensity and enjoy the lights slowly changing color to the beat. Your flatmate wants to sleep but you want to enjoy the lights reacting to the beat? No problem. Just disable the lights in his room without interrupting the party. - It lets you choose the synchronization intensity and features an automatic mode. You can now manually set a time offset for the music synchronization if the lights seem unsynchronized. It connected to my Apple Music and to my Hue Bridge, but the music only plays out of the ear piece of my phone and the lights don’t do anything. UPDATE: I ended up getting it to work, although I did encounter a bug. The lights will randomly dim and stop syncing to the music. I’ve found that either skipping the song or changing the volume down then back up will resolve it temporarily. We're happy that you got it to work. We will try to fix the bug that you have found as soon as we can. Old response: Please go to the AirPlay menu and select "Speaker" when using the app. Please try another song and if it still doesn't work, please restart the app and reselect the lights. By far the least laggy light sync app that I’ve found. Only grip is that there isn’t a way to make multiple light follow the same pattern rather than being independent form each other. Thank you for your review, we really appreciate it. Light grouping is something we're looking forward to and we will add this feature soon. If you have other questions, issues oder ideas, just send a Twitter DM to @lightsyncapp. Should charge for the app. It’s the best available. Hi, thanks for your nice feedback. It's awesome that you like the app and we will continue trying to make it even better.